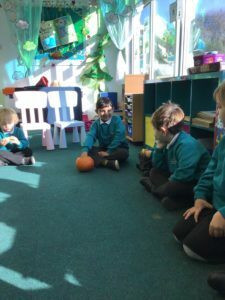 We have had a spooky week in EY, exploring pumpkins and designing, making and measuring our own magic potions! 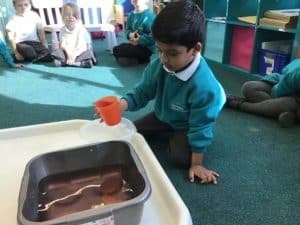 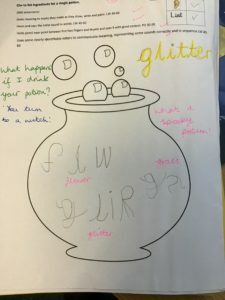 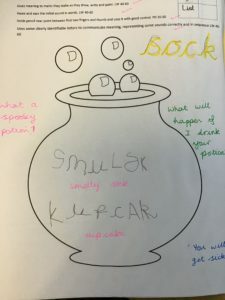 We had to use our phonics skills to write a list of our potion ingredients, and our knowledge of capacity and measuring to ensure our potions were right. 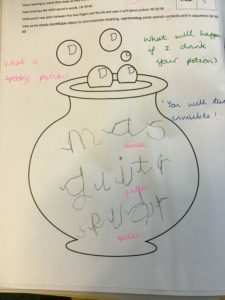 We then thought of spells to go with them and decided what would happen next. 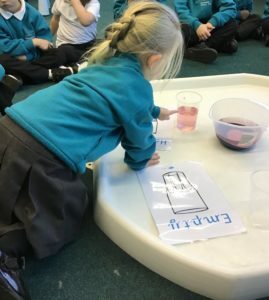 There were some fantastic ideas and lots of great talk!